Publicado febrero 12, 2018 a las 7360 × 4912 en The way you read a book… 55. Exhibition view. 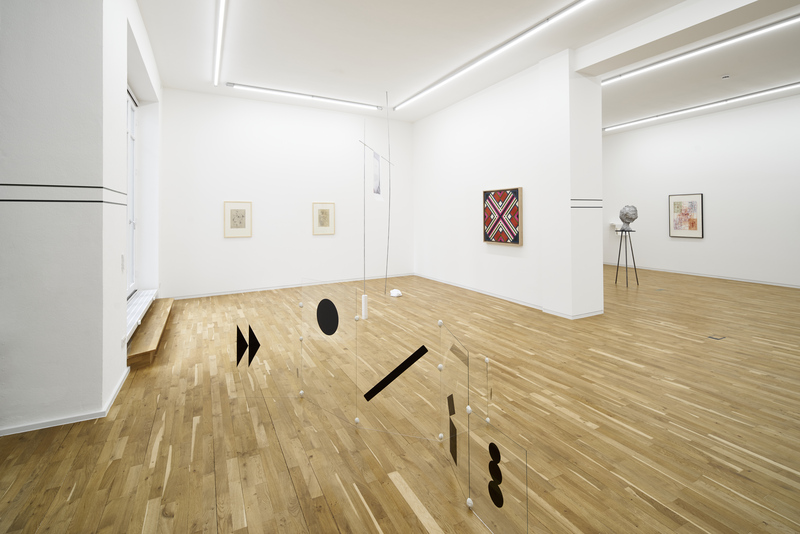 From left to right: Alessandro Balteo-Yazbeck, Level, 2017 (Private Performance); Marlon de Azambuja, Solide und Stabil, 2018; Willi Baumeister, Sitzende Figur, 1930; Sarah Lehnerer, The Other*, 2018 (Quotation: Lydia Davis, Collected Stories, 2009. S.241); Willi Baumeister, Der Maler, 1928; Eduardo Terrazas, Possibilities of Structures: Diagonals 1.3.11, 1975—2015; Alessandro Balteo-Yazbeck, Level, 2017 (Private Performance); Alexi Tsioris, Ohne Titel, 2017—2018; and Hermann Nistch, Ohne Titel (Variation Entwurf zu einem Gralstempel), 1985–1990.